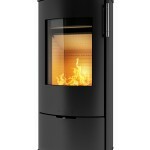 This wood burning stove combines elegance with strong functionality. 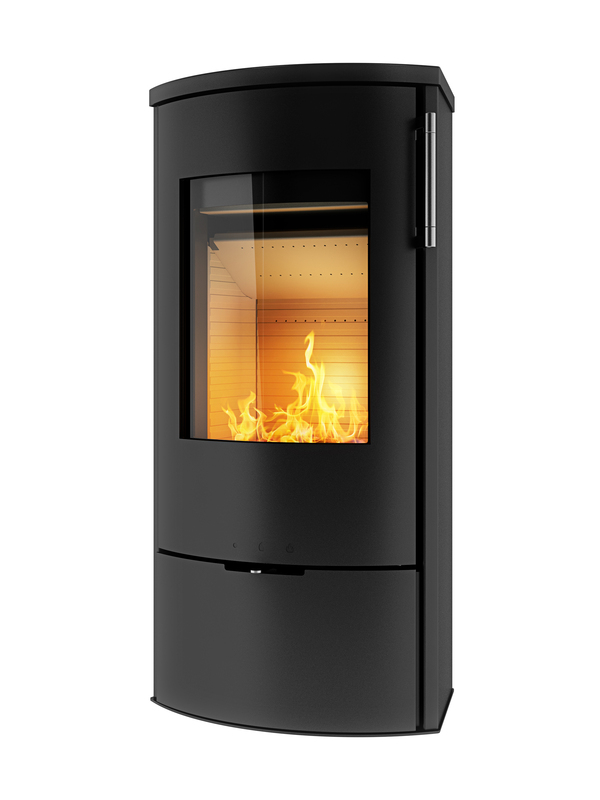 It is truly capable of producing g heat in its wide combustion chamber that can take large pieces of firewood. With its beautifully designed handle refuelling is easy to do. The conic shape with its styled top plate gives and elegant impression against the wall or in the corner. As with the Rais Q-Tee it comes with either a glass or steel framed door.